The heralded Queen of Hip-Hop Lit presents an addictive collection of celebrated urban authors with their fingers on the pulse of the streets. 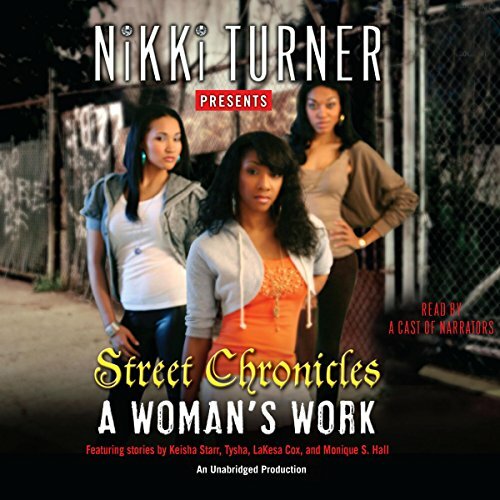 Street lit’s finest female voices - Keisha Starr, Tysha, LaKesa Cox, and Monique S. Hall - deliver searing stories about women who make hard sacrifices to stay on top of their hustle and seize the power, money, and fame they can’t live without. Enterprising and fearless, these players are more than equipped to handle whatever the street throws at them. That’s because they are hellbent on survival - by any means necessary. The heralded Queen of Hip-Hop Lit presents an addictive collection of celebrated urban authors with their fingers on the pulse of the streets. Street lit’s finest female voices - Keisha Starr, Tysha, LaKesa Cox, and Monique S. Hall - deliver searing stories about women who make hard sacrifices to stay on top of their hustle and seize the power, money, and fame they can’t live without. Enterprising and fearless, these players are more than equipped to handle whatever the street throws at them. That’s because they are hellbent on survival - by any means necessary.